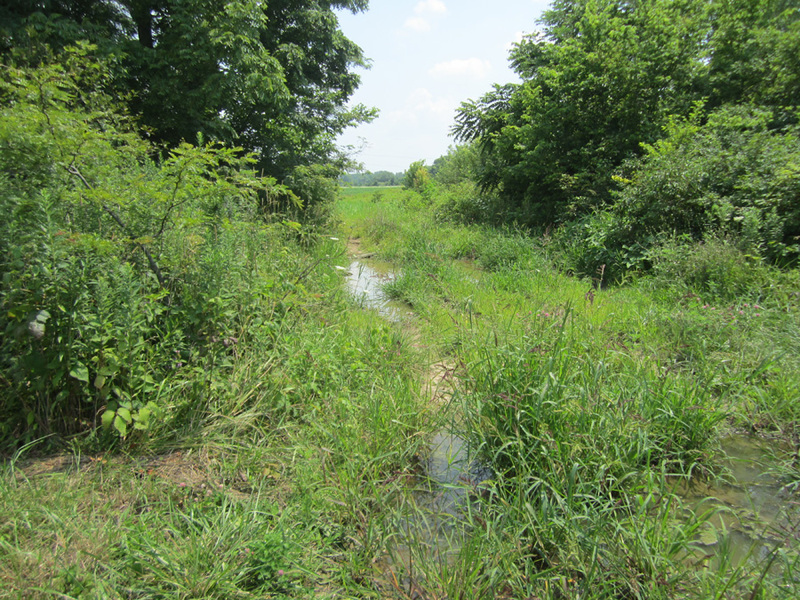 Franklin Soil and Water property located on Hellbranch Run in Big Darby Creek watershed. Not familiar with it? 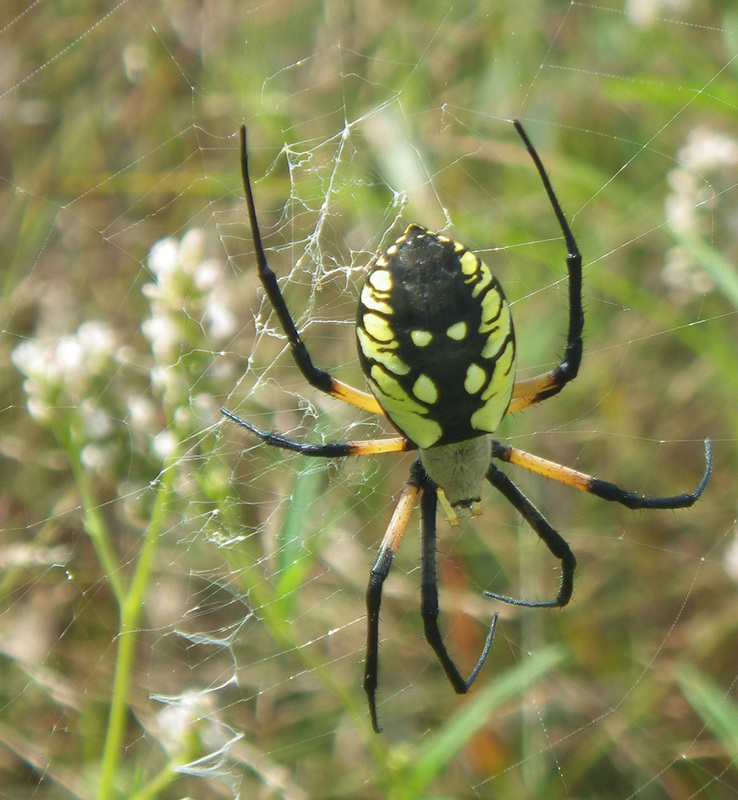 Visit our main Hellbranch Meadows page for more details. Restoration activities are in full swing at our Hellbranch Meadows property. Made possible through funding by the Ohio EPA’s Water Resource Restoration Sponsor Program (WRRSP), the project will result in therestoration of more than 2,500 linear feet of Hellbranch Run, the creation of upland and floodplain wetlands, the “day-lighting” of a previously tiled tributary stream, and extensive plantings of native trees, shrubs and prairie plants. To date, the main focus of the work has been on the mass excavation for both the upland wetlands and the new floodplain for the main stem of Hellbranch Run. A portion of the steam channel has also been completed at the southern end of the property, but work has been slowed by frequent storms and an unseasonably high water table Work will continue through the fall months and is expected to be completed sometime in Late Spring/ Early Summer 2019 . Check out this time lapse video recently recorded at our Hellbranch Meadows property. The video shows a high-speed recap of a shingle oak being relocated from an area that will soon be excavated during floodplain and channel creation. The relocated trees, 17 in total, will provide shade to a soon to be day-lighted tributary and jump start the restoration of oak savannah habitat on the property. The work is part of our large scale stream and restoration project taking place through funding proved by the EPA’s WRRSP program. Construction begins today (3/19/18) on Hellbranch Meadow's Stream and Wetland Restoration Project! If you drive past Hellbranch Meadows in the coming weeks, you might be alarmed to see trees coming down and earth being moved, but fear not, the restoration is part of a plan to increase the available wildlife habitat and water quality of Hellbranch Run. Currently, our stretch of Hellbranch Run is a straight, deep channel. The current channel was developed long ago to help move water quickly off of the property to prevent flooding of cropland. While deep straight channels do a great job of swiftly moving water from place to place, they can cause downstream flooding when the water finally does slow down, they don't provide good habitat for aquatic life and they don't allow for natural water filtration to occur. That's where this restoration project comes in. Our main goal is to slow the water down. Slower water supports more beneficial aquatic flora and fauna, reduces downstream flooding and allows natural filtration of the water by soil and plants to occur. How do we slow water down? We’ve designed this project using what’s known as Natural Channel Design. This type of design involves creating a curvy, winding channel, with a wide floodplain and nearby wetlands to absorb excess floodwaters and provide filtration. This project also gives us the chance to remove all of the invasive plants from the property and build a strong ecosystem with the addition of several thousand native trees, shrubs and herbaceous plants. Keep checking back for updates on this project as it gets underway! 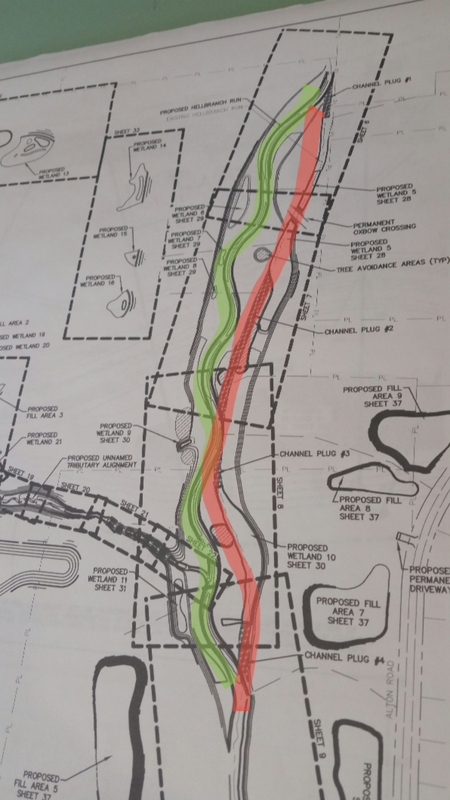 A picture of the construction plan with the current straight channel in red and the new winding channel in green. We recently put in a new vehicle access to a back field at Hellbranch Meadows. The old access is in an area that we have planned for wetland restoration, so when the ruts got too bad even for farm equipment, rather than filling them, we moved the access point. The new access is located at a higher point and caused only one tree to be lost, a locust, one of many along a wind break between fields. Hawthorn, honeysuckle and poison ivy made up the majority of the vegetation removed. 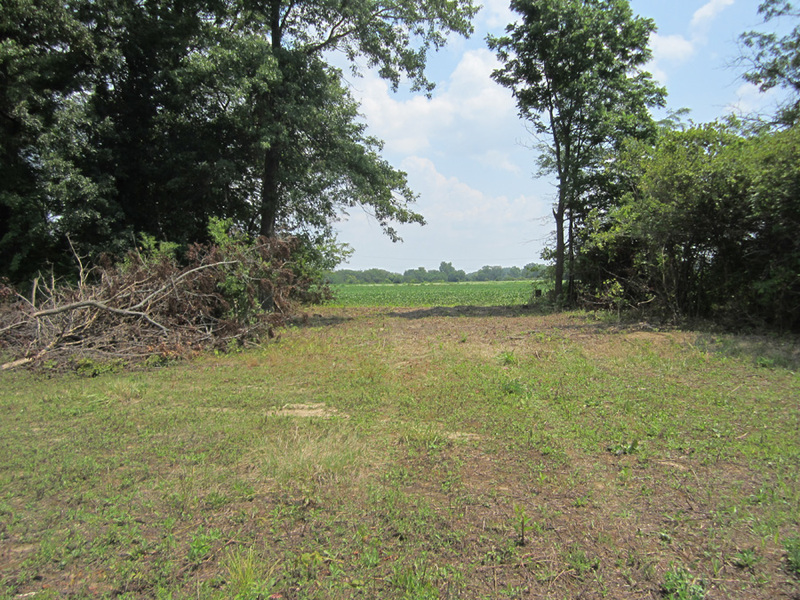 This brush will become a more formal brush pile in the fall to provide wildlife cover in the old field successional area. Vehicle access is needed as only half of the back field has been seeded in prairie grasses and forbs. 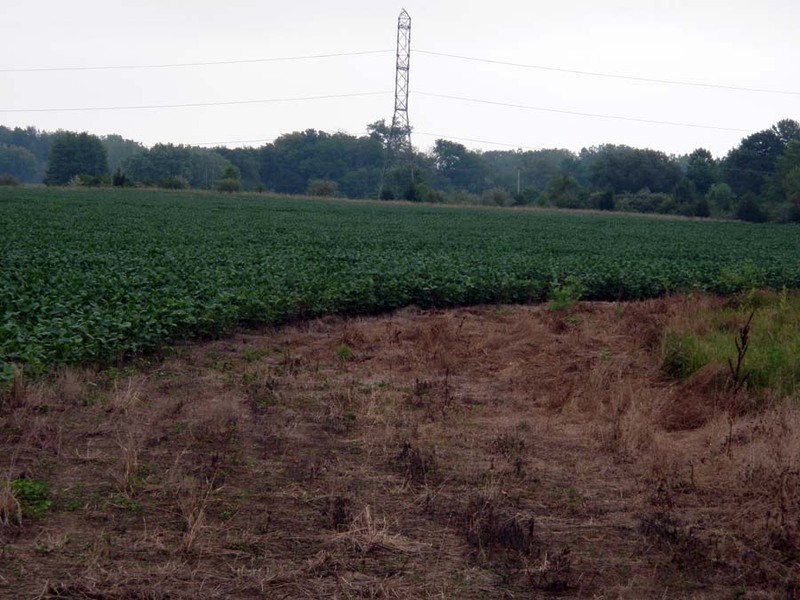 Until the entire area is restored, it is being farmed to keep invasives out and to improve soil health. This is what 30 acres of prairie seed and cover-crop seed look like. 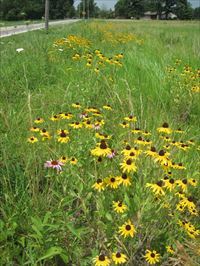 On June 16 we planted 30 acres of upland prairie habitat at Hellbranch Meadows. The Darby genome prairie seed was collected by Columbus and Franklin County MetroParks from their own Darby prairies. 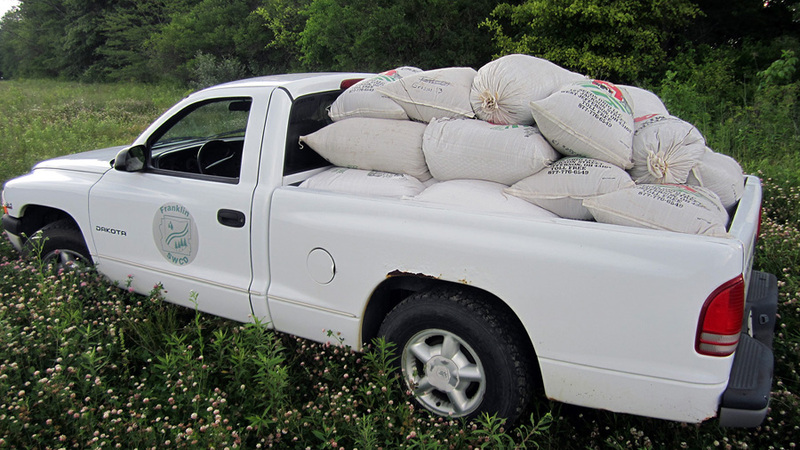 The prairie seeds were mixed with an annual cover crop to protect the soil until the prairie plants are established. 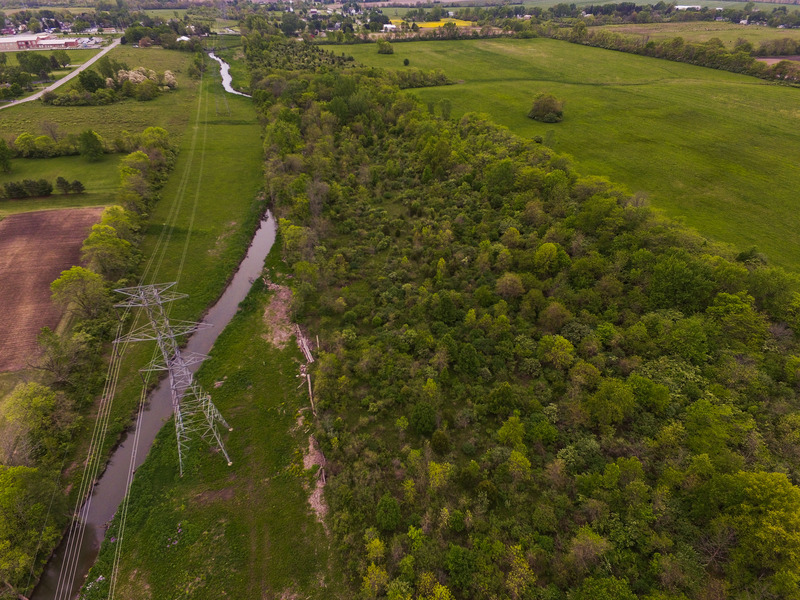 The prairie seeding is just one step in the long-term management plan that staff and our Board of Supervisors have developed for the property that lies along Hellbranch Run in the Big Darby watershed. 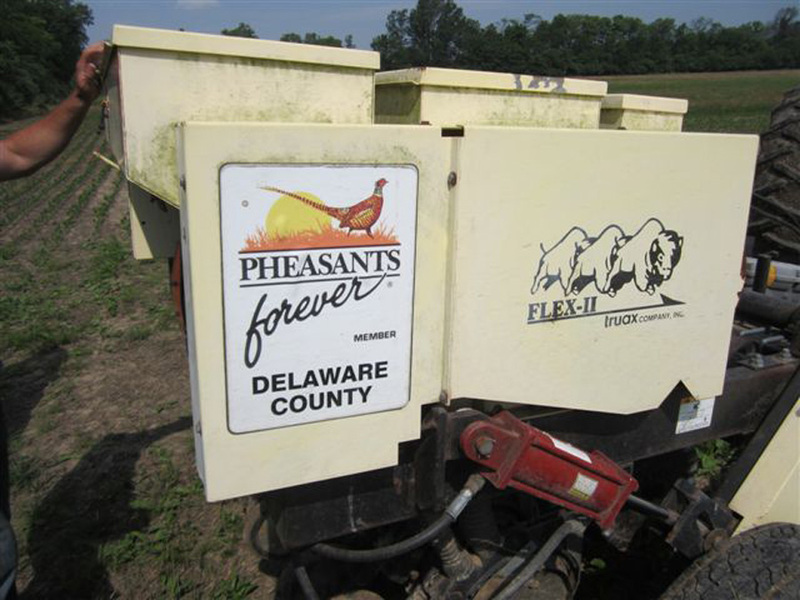 MetroParks was not our only partner in this—Delaware Soil and Water Conservation District lent us their drill. See more photos in the Facebook album. The yield at Hellbranch Meadows is likely to be better than 2011 despite the droughty year. Technician Bob Sherman estimates 40 to 45 bushels per acre this year as compared to about 30 last year. Remember how wet spring of 2011 was? It was hard to get the equipment in the field so it was planted late. That wetness helped this year though – that and the late summer rain. Do you know what this photo shows? And lastly, isn’t this a cool picture, using the “stitch” function on the camera? It’s been about six weeks since the beans were planted and they’re in good shape for it being so dry. The plants are starting to flower and pod (look for the tiny purple flowers in the photo below). This is a crucial stage for yield production in the plants. The rainfall over the next three weeks will make or break the crop. The field that will eventually become native prairie is planted for the second season in soybeans. 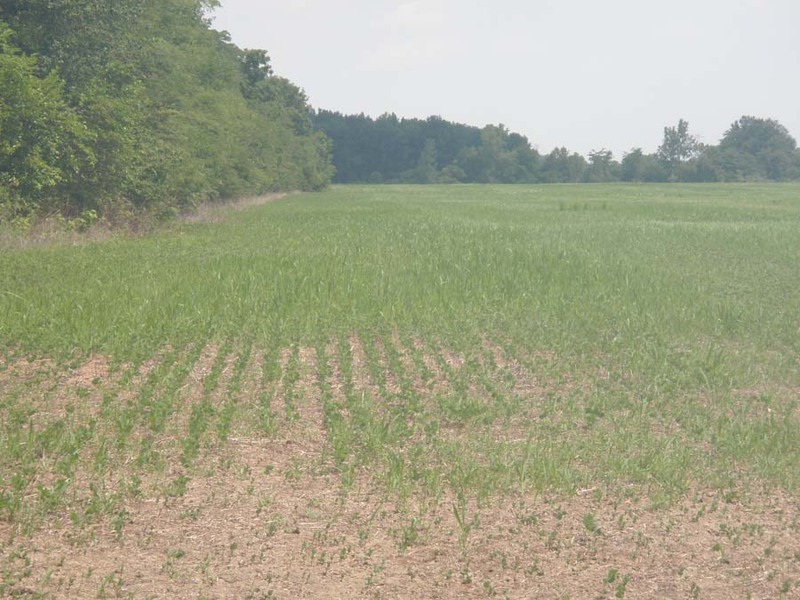 The volume and hardiness of invasive weeds in this field required yet another application of herbicide before the no-till planting of soybeans. 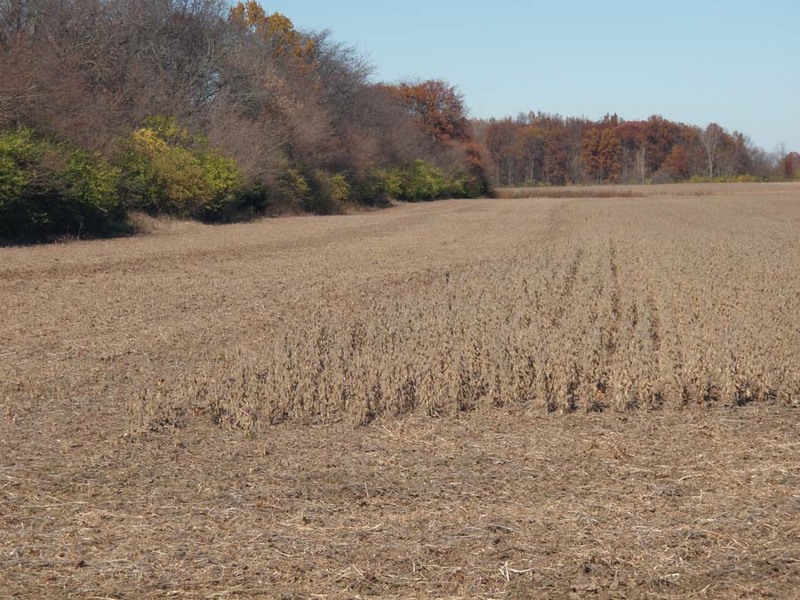 No-till planting preserves soil structure and soil organisms while minimizing soil erosion and the release of CO2 from the oxidation of soil organic material. With the weather cooperating, the farmer was able to plant earlier this year than last. The photos show what it looks like about a month after planting. Today, Bob Sherman, Water Quality Field Technician, and I took a trip to Hellbranch Meadows to see how harvesting was going. 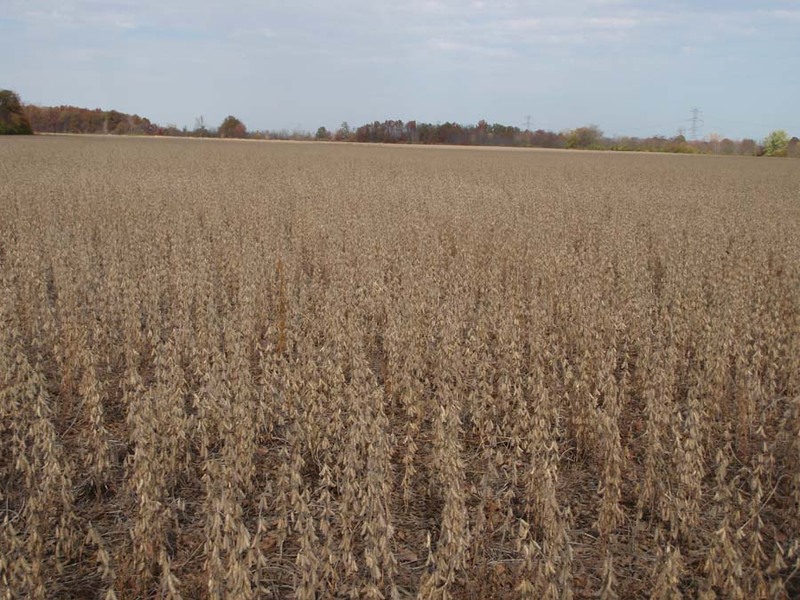 The beans were smaller than Bob’s own fields because this area tends to be wet and it was a very wet spring, delaying planting. You can see in the photo at the left where the combine has passed. 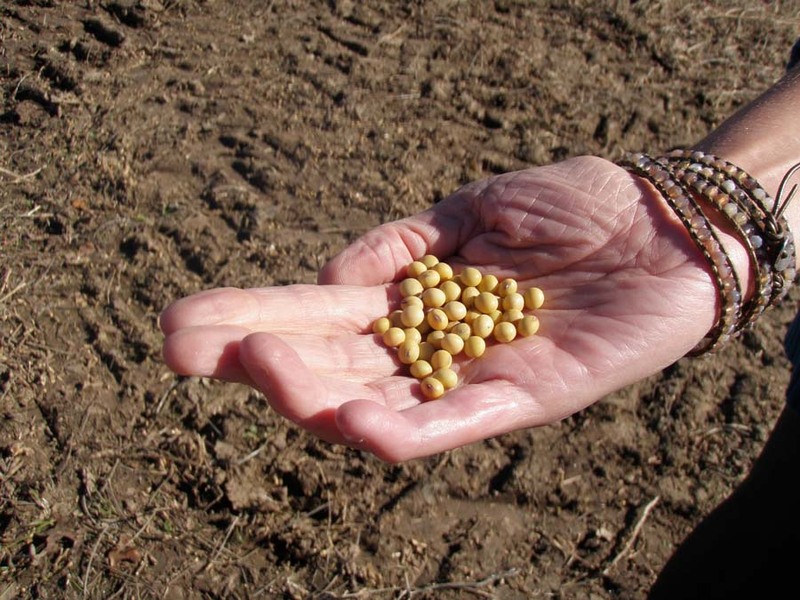 Even though my grandfather farmed, I didn’t know what a soybean looked like, so here is a photo of a handful of beans. Combines are amazing machines. They cut the plant and then separate the beans from the pods and the stalks. 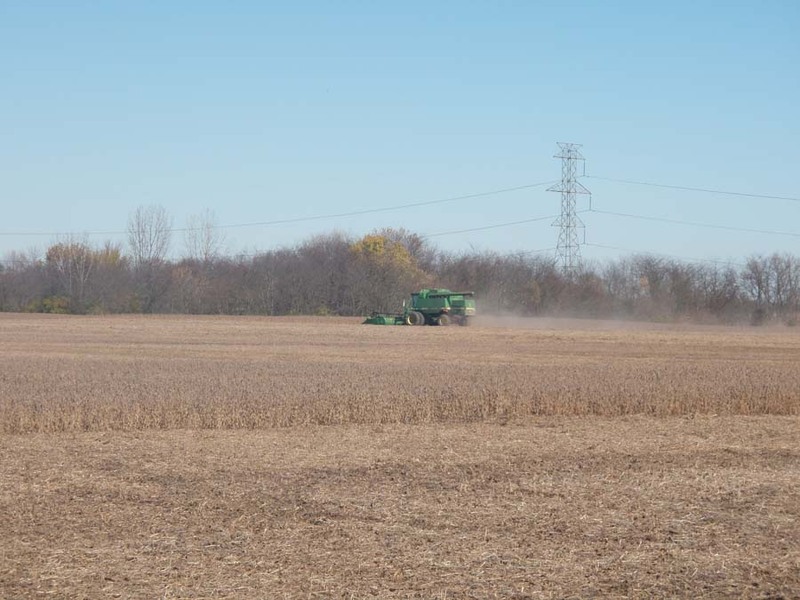 When you look at the photo below of the combine in the distance, the “dust” trail you see is the unneeded part of the plants being spread back on the field. The wildflower planting and windbreak that was planned and planted last year is making itself apparent. Black- eyed Susan, coneflower and swamp milkweed are blooming. Planted pines have survived the best, some shrubs also, the hardwoods suffered the most. Driving by Hellbranch Meadows you would be excused for feeling confused. 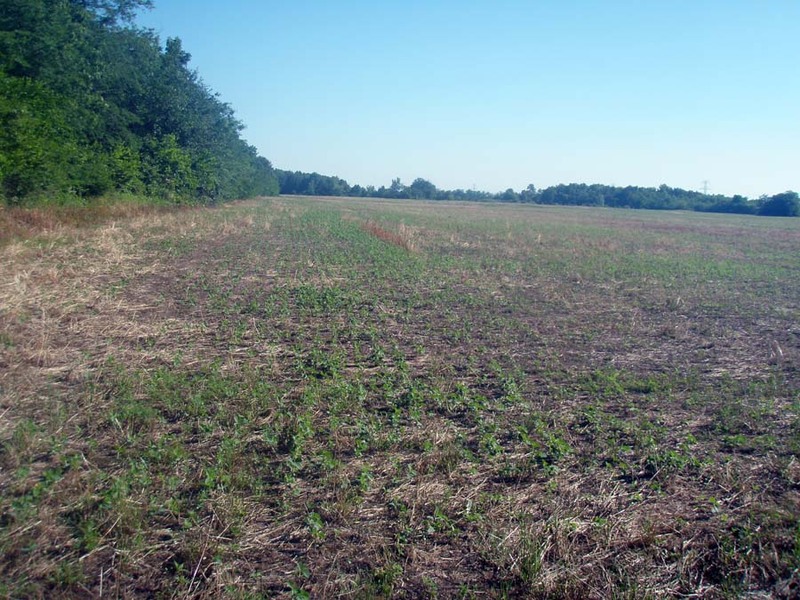 What are we doing with this conservation demonstration area – farming it? 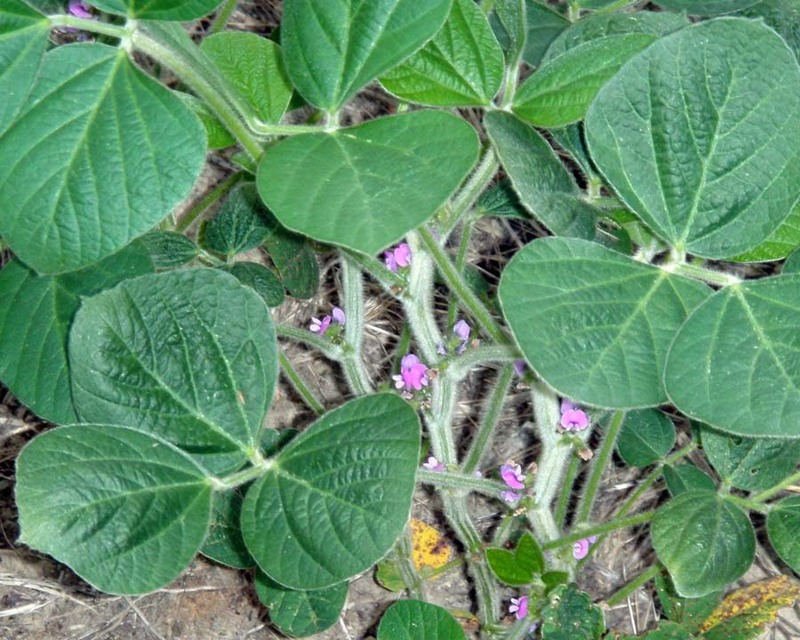 An innovative way to prepare land for prairie seeding is to first plant soy beans. We are following the example of Metro Parks who is in the forefront of native habitat restoration. 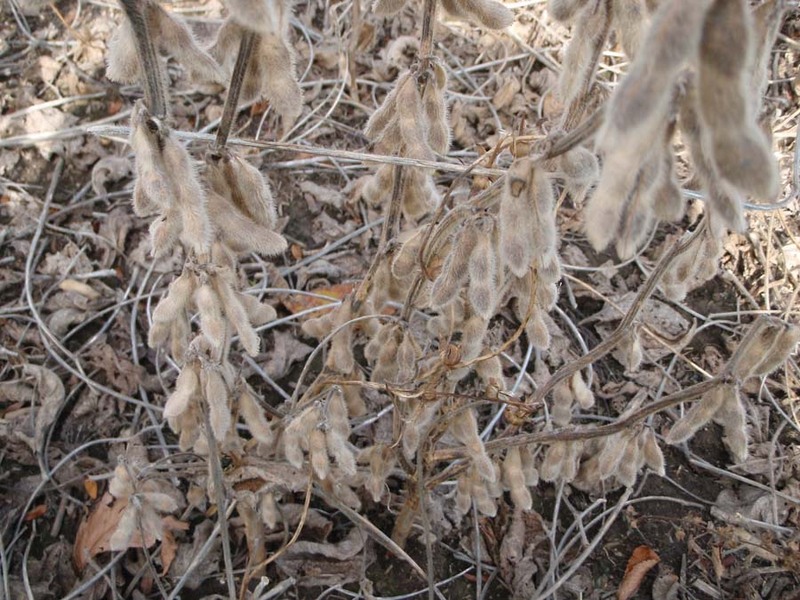 During the growing season, the farmer will apply herbicides to increase his yield and remove the many invasives that would make prairie establishment difficult. 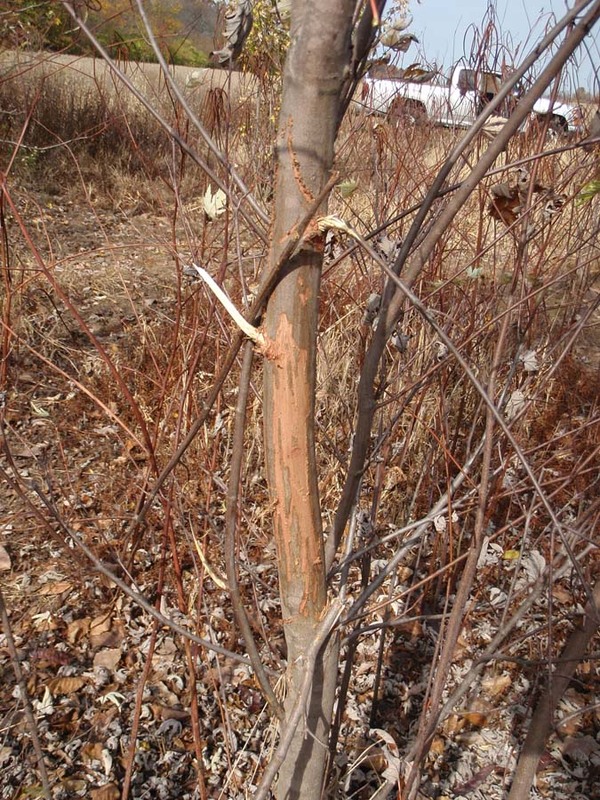 Among these is the infamous multiflora rose (Rosa multiflora), whose red stems take root wherever they come in contact with the ground, making nearly impenetrable thickets. 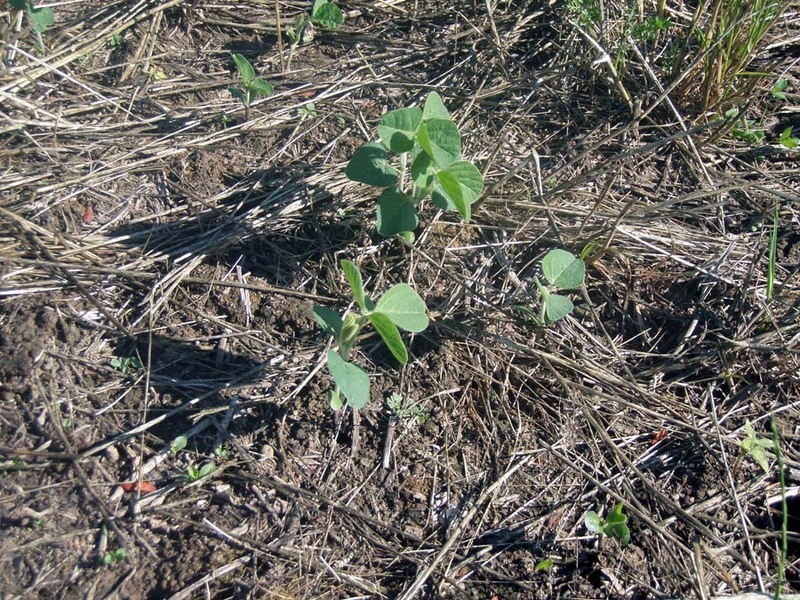 Soy beans are also nitrogen-fixers so they are improving the field as they grow. The field will then be seeded this fall or next spring with native grasses and forbs.